Enter the Podcast Garage, a year-old facility in Allston, Massachusetts that operates in a repurposed garage. Think of an old Jiffy Lube building, freshly repainted. 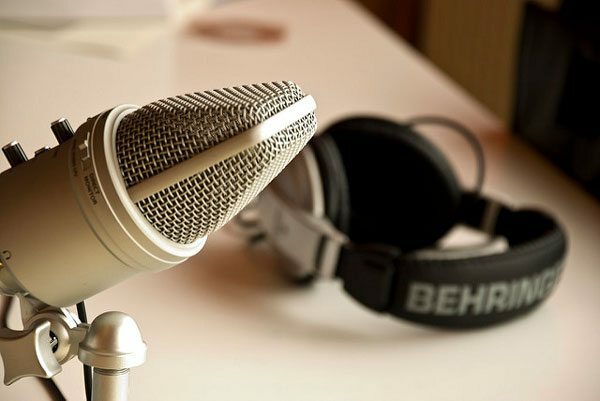 The original idea was for Public Radio Exchange (PRX) to create a “listening lounge” for locals to create podcasts and connections between podcast newcomers and experienced producers. “There’s a real hunger to learn how to do audio storytelling,” says Kerry Hoffman, CEO of PRX, so she suggested creating a permanent local audio production laboratory. Workshops on productions and narrative skill-building are being offered. Radiotopia, a leading national podcast, has produced shows at the facility. Podcast Garage is a membership nonprofit, with a monthly fee that includes studio time and co-working space. This arrangement seems similar to public libraries offering technology and maker spaces, as covered by NPQ here. There is also a similarity to public access television channels that are typically tied into cable TV systems, offering laboratories for video production. Members are producing shows ranging from social justice to comedy. One member, Reverend Jeffrey Brown, with his producer Geoff Nesnow, has spent the first year creating and producing the podcast entitled The Courage to Listen. Reverend Brown speaks to guests about stories and insights aimed at reducing violence in Boston. The list of programs offered includes Storytelling Showcase, Maker Mingle, and presentations of live shows such as Overdue and Unfriendly Black Hotties, as well as orientation-to-podcasting workshops. How Real Is Uber’s “Be Your Own Boss” Tagline? Uber is built on contract workers who are invited to “be their own bosses,” but the company has sophisticated control practices supported by data and a general practice of disengagement.